Suggestions to launch Marriage Discipleship in your church. Two Becoming One can be as simple as a class taught on a Sunday morning, in a mid-week class, or in a small group setting over the course of 8 weeks. The class consists of 1-2 facilitators and 5-7 couples (12-20 people maximum). Live training events, online resources, and mentorship will be available for group facilitators through Christian Family Life. Each couple will need to buy a book and two workbooks ($42) to complete the study. These may be purchased and resold by the church or bought online by the couple. Marriage affects every ministry within a church body. The need for biblical marital support ultimately requires a larger emphasis than one small group study. 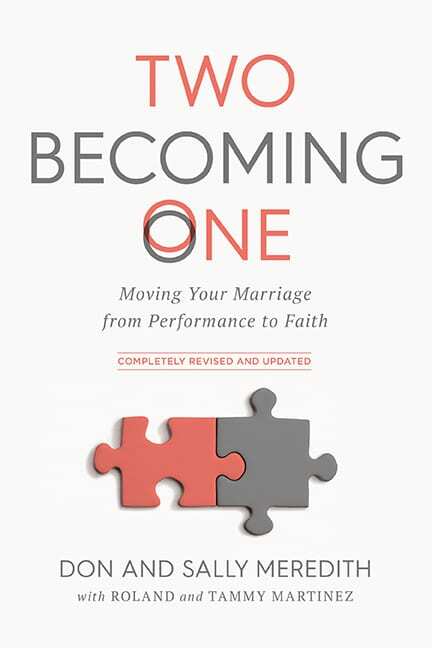 Two Becoming One offers a targeted, biblical discipleship program to a larger number of marriages and provides a strong premarital foundation. When do you want to start? Determine the launch date. Remember, this is an 8-week study. Many times a 9th week is added on at the end for recommitment of vows or for an initial first week of orientation. How many will participate? Estimate the number of couples wanted or expected. A program like this would include 1-2 facilitating couples and 5-7 couples per group. Overestimate by 5-10% to ensure you recruit and train enough facilitators. Make the commitment. Contact Christian Family Life to schedule a facilitators’ training 4-6 weeks before launch. In addition, we will partner with you and share best practices and strategies for using Two Becoming One and recruiting facilitators. Communicate to the church. Promote the launch, create excitement, and get interested couples to signup. Use videos and tools from Christian Family Life to help. Christian Family Life offers a conference format that can kickoff your Two Becoming One discipleship groups. Christian Family Life has partnered with other large event specific organizations to help kick off Two Becoming One small groups and to advertise local trainings for those interested in becoming Marriage Disciplers. There is no perfect way. We are committed to helping each local church plan and prepare to disciple couples. We are committed to see marriage discipleship happen in every church, community, and country.